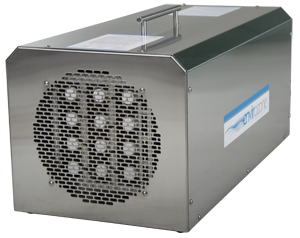 Changing the way we think about oxidative deodorizing and sanitizing. 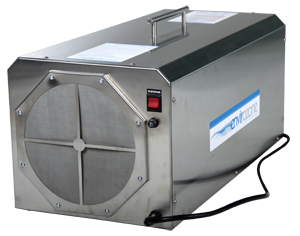 Eliminate Odor Causing Bacteria by running the germicidal while drying. 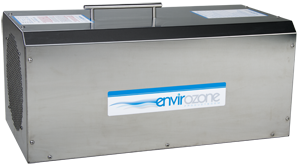 Deodorize area using activated oxygen by running the ozone for a period of time as specified on the Ozone Calc Post warning signs "Ozone in Use"
Envirozone Product models are industrial ozone generators, designed to be used in unoccupied areas or in volumes limited by OSHA regulations. © 2019 Nuvoaire. All rights reserved.